Written and performed by Ariel Luckey, Free Land: A Hip Hop Journey from the Streets of Oakland to the Wild Wild West is a powerful solo show that weaves poetry, theater, dance, and hip hop music into a compelling performance that takes an unflinching look at the truth buried in the land beneath our feet and the legacy of theft and genocide. Now Luckey has penned a new Curriculum Guide that explores the themes and questions raised in the show and the Free Land DVD. Combining social justice and art-based pedagogy, this engaging Guide features eight lessons which include creative activities, discussion questions, writing prompts, contemporary and historical photographs, resources, art projects, and more. 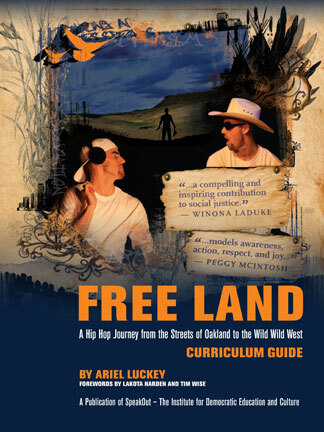 Along with the Free Land DVD, the Guide is a valuable tool in any U.S. History, Social Studies, or Humanities classroom and for use in social justice education programs. Lesson Eight - From Massacres to Mascots: Where Are We Now? A young white man’s search for his roots takes him from the streets of Oakland to the prairies of Wyoming on an unforgettable journey into the heart of American history. During an interview with his grandfather he learns that their beloved family ranch was actually a Homestead, a free land grant from the government. Haunted by the past, he’s compelled to dig deeper into the history of the land, only to come face to face with the legacy of theft and genocide in the Wild Wild West. 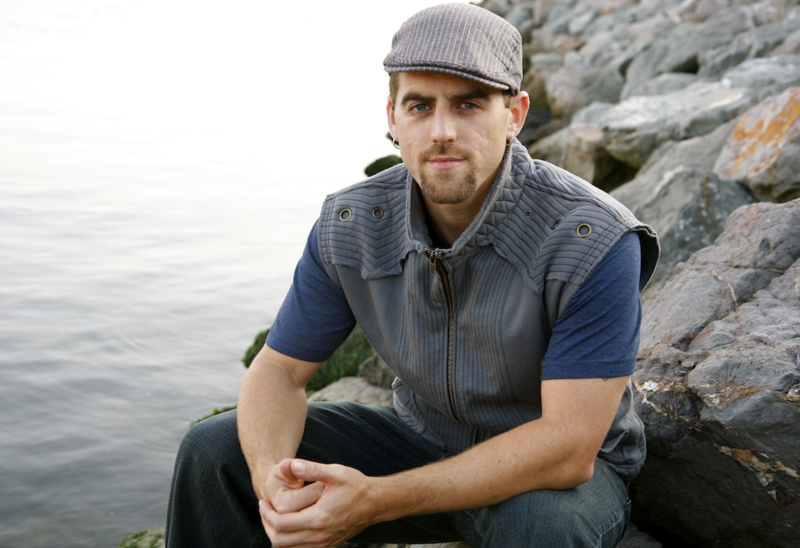 Free Land weaves poetry, theater, dance, and hip hop music into a compelling performance that challenges us to take an unflinching look at the truth buried in the land beneath our feet.